When were you last horrified by a horror movie? Really horrified, that is, as opposed to merely creeped out, or disgusted, or amused. 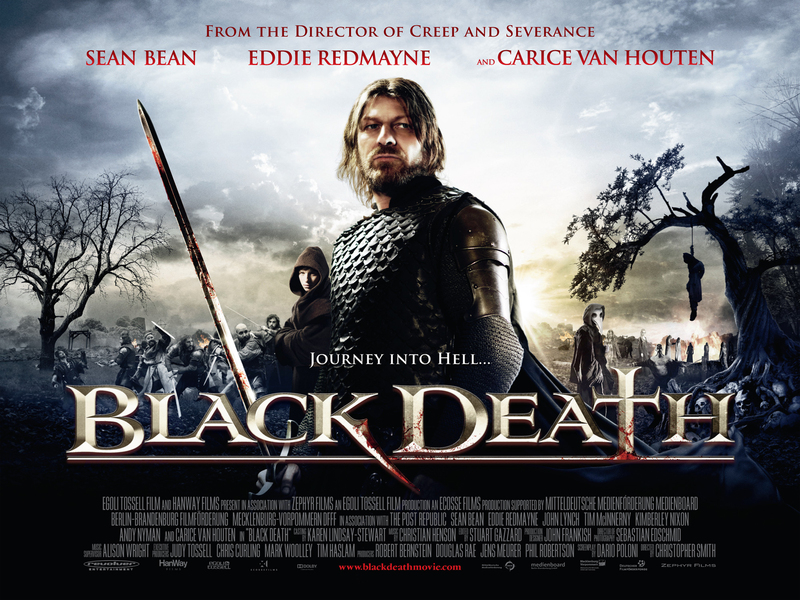 Black Death is a proper horror movie, for grown-ups rather than ADD-afflicted teens, and I’ll wager grown-ups will be duly horrified by it. Not because of the gore – although it does have a fair amount of that – but because it takes you on a real journey into the heart of darkness, and you might not like what you find there. This Anglo-German production is the fourth film from Bristol-born director Christopher Smith, who has been steadily improving since his feature debut, Creep, a homage to the 1972 British cult shocker Death Line; he followed this up with the horror-comedy Severance and the sci-fi thriller Triangle, additional proof that he knows his way round that bunch of interrelated genres summed up by the French as fantastique. Smith and Neil Marshall (The Descent) and Michael J. Bassett (Solomon Kane) appear to have inadvertently formed themselves into some sort of New Wave of British Horror, whose ranks seem likely to be swelled by James Watkins (Eden Lake), Tom Shankland (The Children) and Steven Sheil (Mum & Dad). It’s the first time Smith has worked from a screenplay he didn’t write or co-write; this one’s by Dario Poloni, who previously scripted Wilderness for Bassett. 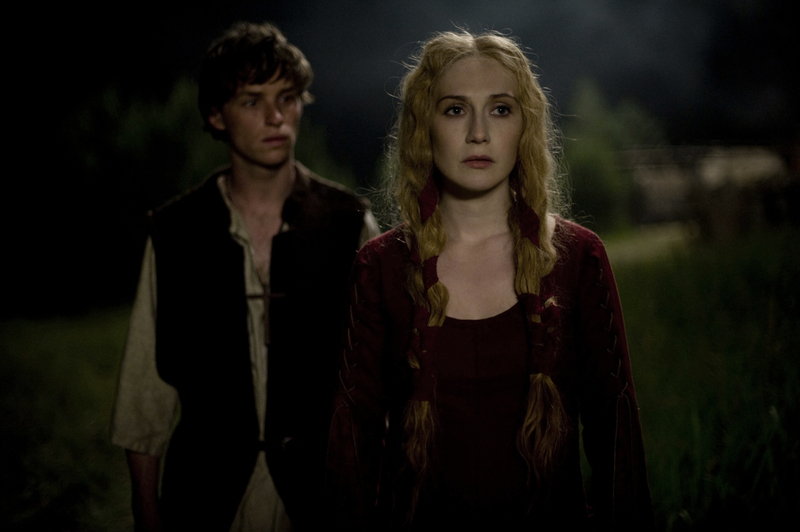 Black Death, filmed in appropriately medieval-looking locations in Saxony, is set in an unspecified European location in 1348. The bubonic plague is sweeping through the known world, but one village has been left untouched by the pestilence. Tyro monk Eddie Redmayne (not yet so sure of his calling that he doesn’t have a girlfriend on the side) is assigned by wise old abbot David Warner to guide a devout Christian knight (Sean Bean) and his raggle-taggle band of bad-asses on a low-budget Apocalypse Now-type journey to the remote hamlet, whose occupants (including Carice van Houten, who starred in Paul Verhoeven’s Black Book) are suspected of using necromancy to protect themselves. But it’s not so much what happens as what it implies about human nature that’s so disturbing. Of all the movies I have ever watched, the ones that have upset me the most have invariably involved some element of religious fanaticism, which I find more chilling than any amount of vampires, zombies or werewolves, perhaps because it’s still all too prevalent in the modern world, a lingering remnant of Medieval superstition which may yet prevent humanity from ever progressing beyond the Dark Ages. I don’t think it’s overestimating Black Death to say it shares certain themes and an uncompromising grimness with Brit-horror classics Witchfinder General and The Wicker Man (the original 1973 one, of course, not the dimwitted remake), both of which explore the outer limits of religion in, respectively, the English Civil War and a pagan community on a remote island off the coast of Scotland. In fact, Smith’s film, with its devastating coda, could almost be a prequel to Witchfinder General, give or take 300 years or so. But it also has much in common with Alejandro Amenábar’s recent historical drama Agora, which addresses the phenomenon of religious extremism to equally terrifying effect. Hypatia, the heroine of Agora, is an atheist, while the lone voice of reason in Black Death is the one belonging to the most cynical and Godless character, whom you may not spot immediately since their voice is drowned out, as such voices often are, by the raging ocean of ranting and dogma surrounding it. This review was first posted on theartsdesk.com in 2010.